New to the site? Sign up today! Your journey across Long Island is about to begin. 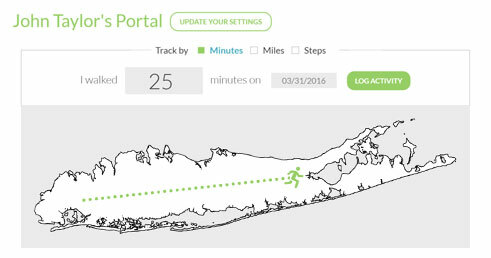 Track your minutes moved, miles traveled or steps walked. Be entered to win health and fitness prizes! Collect badges and trophies for your activities. Share your success with friends and family!